The Winter 2019 version of Encore is here! You are here: Home / 2019 / The Winter 2019 version of Encore is here! 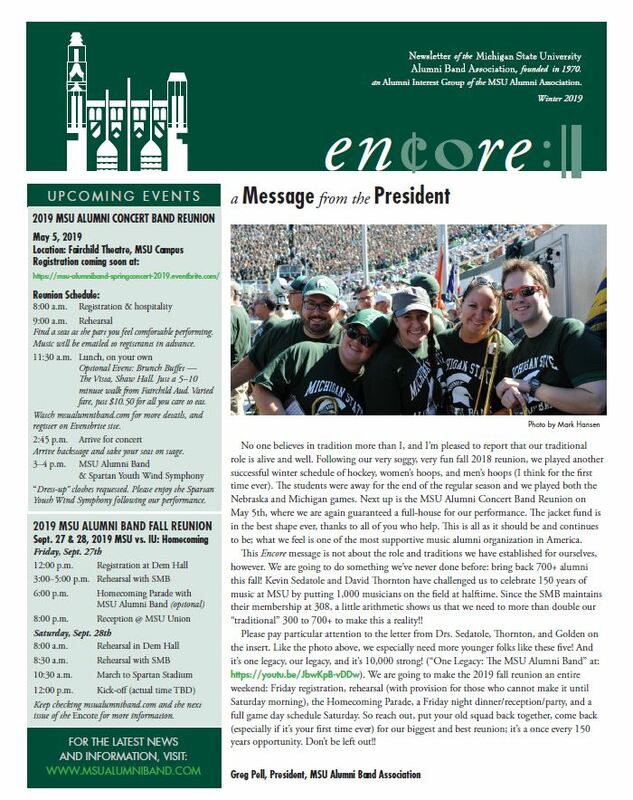 Click here for the winter 2019 edition of Encore. Click here for the 2019 spring/fall reunion invitation letter.